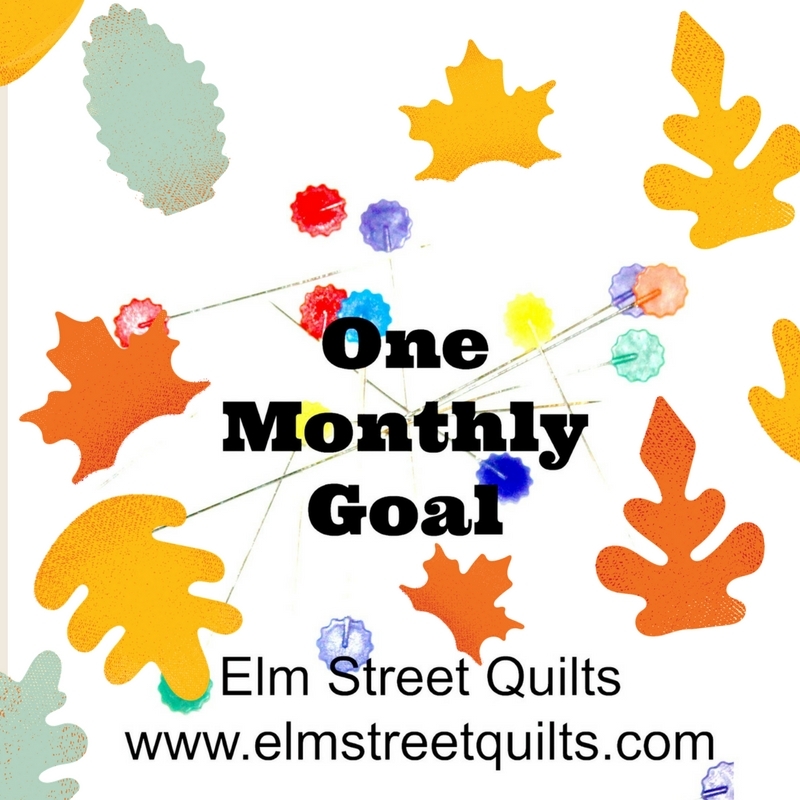 We have three great sponsors for September and there will be three (3) winners this month! 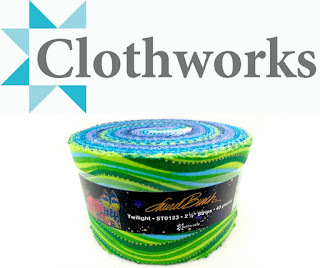 Family owned and operated, Clothworks produces outstanding quality fabric for quilters and sewists who love to create. Clothworks produces a variety of fun fabric lines, including my favorite American Made Brand Solids. Check out their site and sign up for their newsletter to be the first to know about new lines. 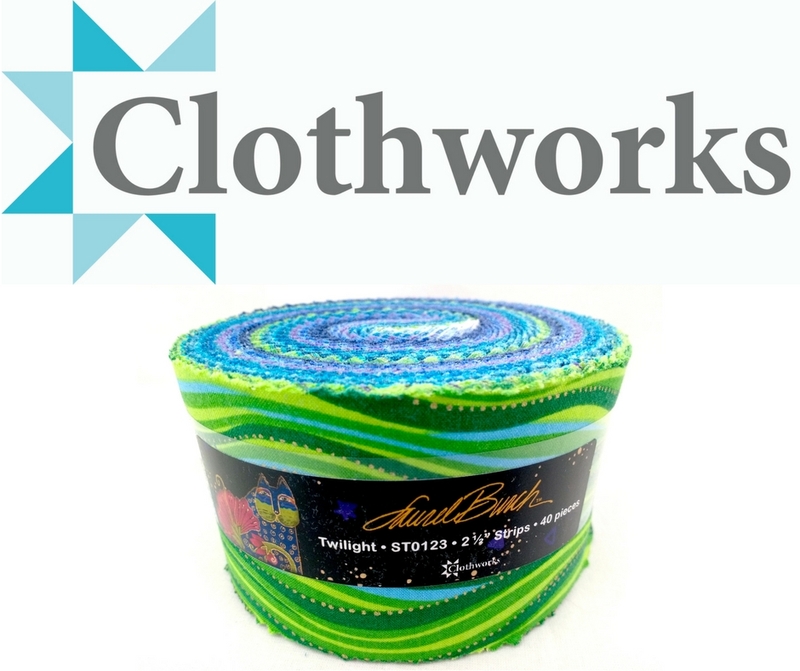 Clothworks is offering a Twilight Laurel Burch Basic 2.5'' strip roll. I'm very excited to introduce to you to Sam Hunter from Hunter's Design Studio as this month's featured designer. 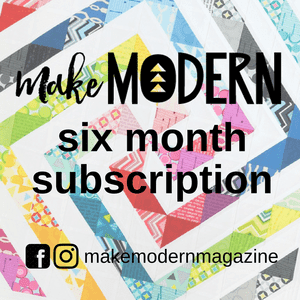 Sam enjoys wrangling with the puzzles of quilt design: she designs mindfully for ease of construction, and economically for little waste. 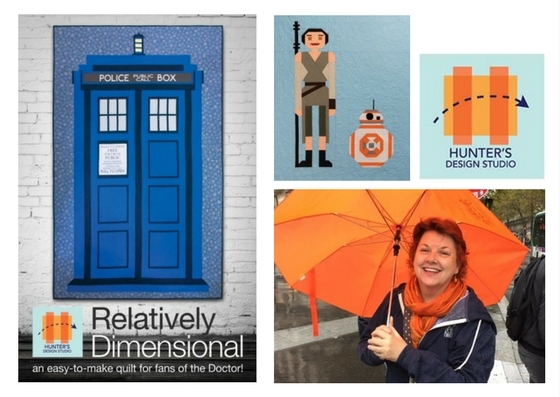 Sam takes care to list the actual skills needed to make a project and her patterns are full of illustrations to make them easy to follow. She fundamentally believe that quilting should be fun, so tries hard to design and write things that are fun, too. For a deeper read of her Pattern Mission Statement, go here. 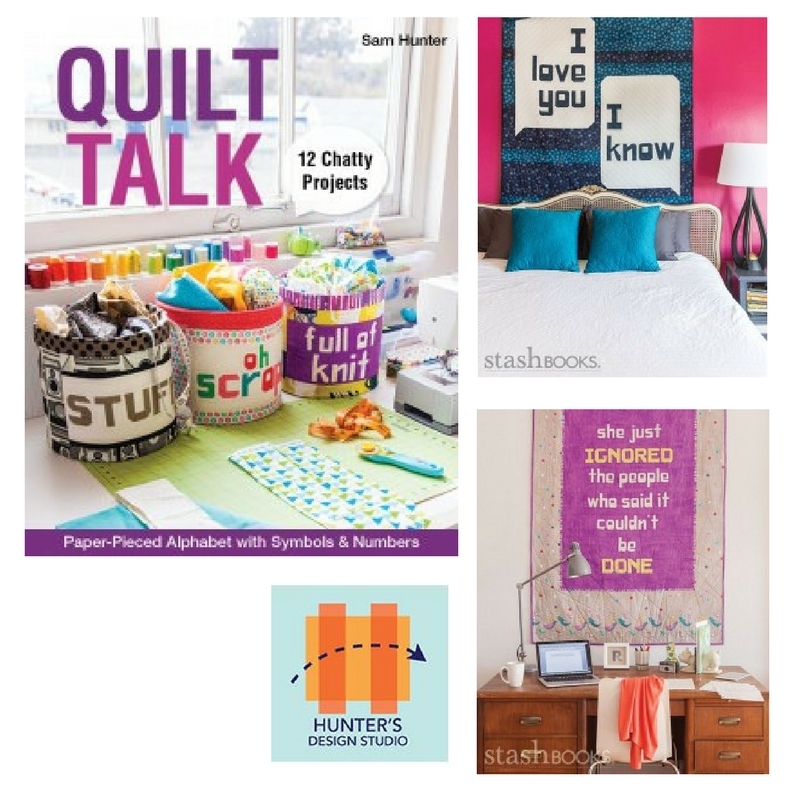 And make sure you check out Sam's book Quilt Talk. You can visit Sam on her Blog, Instagram. 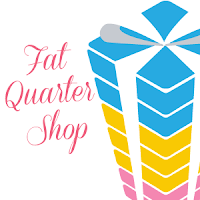 Facebook, and her Pattern Store. 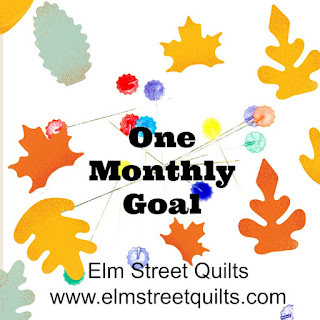 Sam will be offering a lucky winner three (3) pdf patterns of their choice. Love those blocks! Good luck with your September OMG. 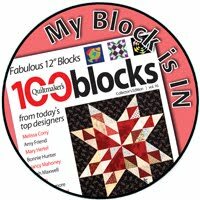 I really like the colors / fabrics in your blocks, Patty. Feels good to be back in the OMG game :) Good luck with your goal. Those skill builder blocks look amazing and I am looking forward to how you put them all together. 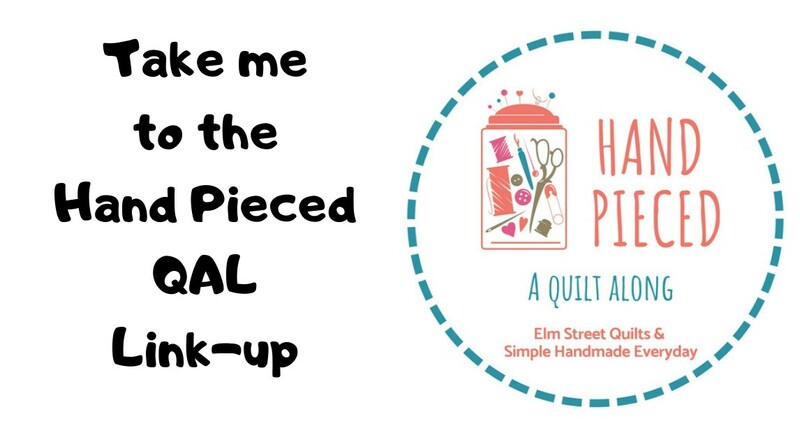 Just took a peek at your post about the blocks and yes I broke a needle going through the middle of a bulky pinwheel block on my last quilt as I quilted!! Go for the double bonus points! Nice fabrics, nice quilt!